You slice off the top layer of grasses, heather, bog cotton and other plants, with a sharp flat spade, and place this layer on top of the raw exposed third layer that you cut down to last year. The size of this living clod maybe 8 inches deep by 12 inches by 12 inches. This living top layer melds into the bare layer and starts to rejuvenate the peat bank. (Not regenerate….! 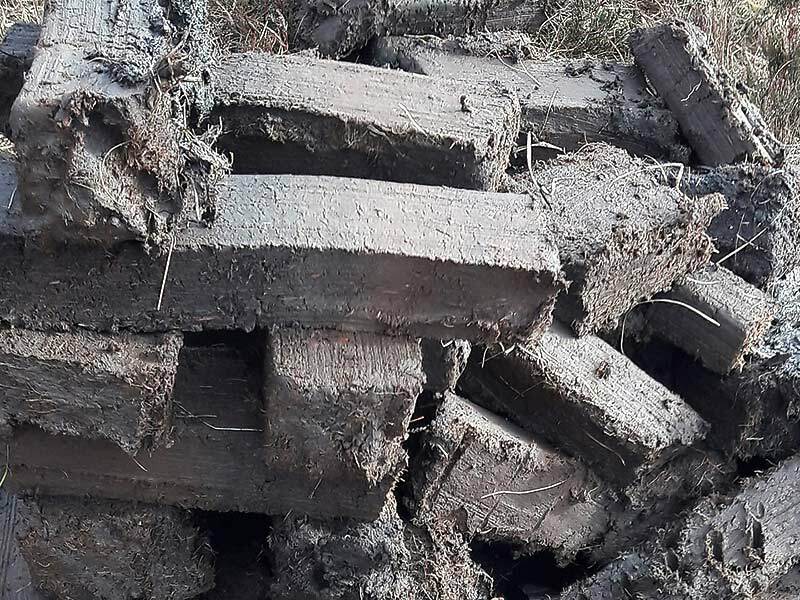 Peat banks only regenerate about 1 millimetre a month, this can hardly be called replacing – ONE centimetre a year! ) By doing this you are preserving the home of plants and animals who make their home on the peat moss. Small lizards, dragonflies, hen harriers who nest on the moss, still have their habitat, and Laphroaig distillery have their hand cut peat to flavour their malt.